Great to be back with our final blog post on Batman: Arkham Knight. Sadly, we’ve come to the end of our Batman: Arkham Knight Season Pass content, but we’re going out with a bang – the biggest content drop to date! Don’t fret; we still have the Community Challenge Pack hitting in January for your post-holiday Bat-fix. When the team set about building the entirety of Gotham City the goal was to ensure it was jam packed with story missions, Riddler secrets and Most Wanted missions for you to get drawn into. But having built the city and filled it with things to do, we felt it was a shame not to do more; perhaps change the city dynamically and tie up a few loose ends from the previous Batman: Arkham games? So that’s exactly what we decided to do with the Season of Infamy: Most Wanted Expansion. Bringing back four key characters for this DLC was no small undertaking. Each character model was built from scratch to make the most of the game engine updates and give you, our fans, visually new-gen Super-Villains. For example, I just love the way Killer Croc is now even more powerful looking, his mutation so severe he’s more reptile than man; this comes across not only in his character design, but also in a whole suite of new animations that bring him to life like never before. You saw a glimpse of that in the main game, but now is your chance to see even more of that amazing new model detail. I also mentioned tying up loose ends, so without giving anything away, I thought it might be nice to setup the Season of Infamy: Most Wanted Expansion for new and experienced players alike. Mr. Freeze returns in “In From The Cold.” At the end of Batman: Arkham City Mr. Freeze and Batman were on relatively ‘friendly’ terms. That relationship continues in this story as he attempts to save Nora’s life. For those of you with keen eyes and ears, you’ll know that the League of Shadows has been splintered after the events of Batman: Arkham City. Ra’s Al Ghul is back in “Shadow War” but is this return a resurrection gone? Too far? Is he the only powerful threat left in the League? “Wonderland” is a slightly different mission for the Caped Crusader. In this story, The Mad Hatter lures Batman into a twisted hallucination which has a very unique look compared to other parts of Batman: Arkham Knight. And finally, Killer Croc. In “Beneath The Surface,” you’ll get to find out how and why he’s looking more fearsome and reptilian than ever. Plus, we’re also bringing a fresh new take on a famous DC Comics location. In addition to The Season of Infamy, you’ll get one final Batmobile to add to your Bat-garage: the Original Arkham Batmobile. If you take a look at our December Update trailer you’ll notice we took a little inspiration from the opening of Batman: Arkham Asylum for one of the shots. We’ve also got the 2008 Movie Batman Skin (included by popular demand!) so now you can suit up and take the Tumbler back out for a spin! In fact, using PS4’s Share button and Photo Mode it will be great to see if you can re-create any other cool Batman moments with any of the Batmobiles and Batsuits; just make sure to send them to @RocksteadyGames on Twitter. We’re rounding out this final drop of content with Crime Fighter Challenge Pack #5 and the Rocksteady Themed Batmobile Skin for you to enjoy. Looks like some nice perks. So can someone explain to me what the Season Pass gave access too? sorry, I still don’t get this trend, especially when there is more DLC coming with the Community Challenge pack. The season pass for this game was honestly pretty bad considering the 40$ pricetag. The bulk of it consisted of costumes, different batmobiles and racetracks. Then you got some challenge packs (predator, hunter, etc.) and a handful of very short story missions as Catwoman, Robin and so on. The only real worthwhile seems to be the season of infamy and the Batwoman DLC (which is good, but only around 1-2h long total). So glad that I bought the season pass when it was on sale for $30. Need to come back to the game and finish all the post game DLC now. Batman: Arkham Knight has done justice for what it was meant to do, honor Batman’s 75 Anniversary. Thank you Rocksteady Studios. This DLC takes 1 hour to complete. Rocksteady have really ruined what could have been an amazing game with its overpriced Season Pass. Most of the DLC missions could be completed in 20 minutes or less. I’m never buying another season pass again. Does anyone know the exact time in which we will be able to download it? Majority of DLC stuff updates by 3 to 4 pm eastern time. Sometimes it doesn’t though until 5pm so if I were you, I’ll check during those hours. 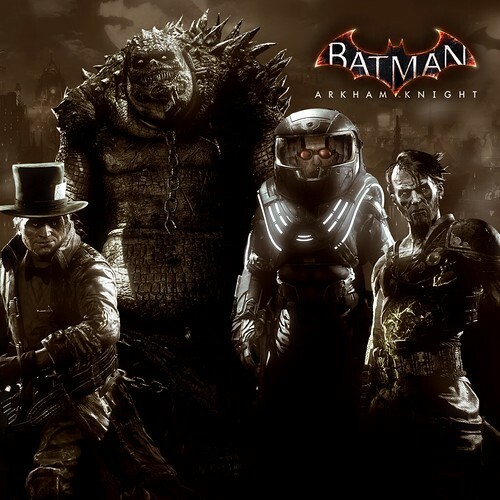 Thank you Rocksteady, for taking my favorite character, and creating my all time favorite game trilogy. You did the character and world justice. I am both happy and sad the Season of Infamy drops today. Thanks again. It’s nice to see someone who agrees with me. I thought everything, the main game and the season pass, was worth the price of admission. I’m still playing DLC I haven’t even gotten to yet. whats the point a hour of gameplay LOL i have great vita games were the intro is longer than that , plus $50 Canadian for a season pass that gives joke stuff like costumes and cars and then the missions are horrible like harly quin WTF was that 10 min long if that and now this a hour. Go look at witcher 3 or borderlands 2 ,AC jack the ripper DLC to see how its done because no matter how good it is a hour of gameplay is not worth it and its even more of a insult if you really liked it for that hour. I do admit, this season pass was overpriced and garbage all in one. I’m sure these boss fights will be disappointing and not innovative whatsoever just like the main game itself. This was literally the worst Batman game you guys have done. Nothing but tanks, tanks, and more tanks. The series should have just died with Origins and should of created a new Batman story or grab a popular story off the comic books. Regardless, I regret buying this season pass. I’ll be playing this sadly just for trophies alone. STOP ADDING TROPHIES!!! My god, seriously. Definitely the last Rocksteady game I buy. i wanna get back into this game, but i agree with the aforementioned tank criticism. i’m an older gamer… 45 to be exact, and i didn’t have the patience or more importantly, the skill, to beat the one tank mission about halfway through the game… and i just got into playing other games. i loved it to that point, and didn’t mind all the batmobile gameplay, because i love racing video games… but we’ll see. i’m disappointed that such an epic game came to a sudden halt for me. that just doesn’t happen with other games i’ve enjoyed even half as much. I am looking forward to this DLC. Especially the mission where I get to face Mr. Freeze since he is one of my favorite Batman villains. will I be released around six?im in cali too and have been waitin since 8 in morning but.. nothing! this was what I wanted all day and its. not. here. Nice…the content is lookin good but still doesn’t make the season worth $40.You guys really went nuts when setting that price…anyway this looks good besides Ra’s model,he was looking much better in Arkham City. Now gimme the date of the COMPLETE Edition. Got this game with my free PS4 and I quit playing once I got to the level where you have to drive the batmobile through the tunnels with explosives and get that other vehicle close enough to hit it….just stupid. Kinda like the GT6 bugatti level to get the Super class license. Still not getting burned by this Season Pass, the tiny amount of gameplay for the cost I completely pass. The DLC trend on these games is nuts for what they want us to pay… how about you finish the game instead of charging for late content. Bethesda is REALLY pushing the SP on Fallout 4 and has yet to remotely mention what we get, and the SP on Destiny was a joke also. Well said! I couldn’t agree more except at least Fallout 4 has so much content built into it, so why anyone would pre-order a SP for it is beyond me. Sadly season passes will continue to prosper so long as enough people bite the bait. I have completed 100% of the story on Batman Arkham Knight and I wanted to play the new DLC Season of Infamy but I can’t because when my game loads for some reason it puts me onto the Nighwing GCPD Lockdown map, please help. I old appreciate it. I have downloaded and beaten the new dlc, but it shows I am missing a skin for batman. The slot is between Bashir V8.04 and New 52 Batman skin. Can someone please shed some light on what this skin is and how I get it? This is my opinion, not in regards to this blog, but in spite of it. I’m a long time Batman fan, comics and as of 2009, the game.No other corporate entity as even tried to compare to the art of Batman that Rocksteady has done in this incredible 6 years. I dont agree with every single decision that Rocksteady made, but lets face it, to all the haters….u dont like Rocksteady’s version as compared to WHAT!? This is the single Batman game franchise EVER! They have set the bar on so many now “standards” in games that are takin for granted. This franchise is….ART, u can whine about choice in story, dlc, concept, presentation, whatever! Fine, put up or shut up….I challenge ALL OF YOU , make something better. Rocksteady, or, more specifically, Warner Brothers. I’m 30 years old, in grad school, own a gym, and play video games. I’m not a 13 year-old kid commenting because OMGITSONLYANHOURLONG. Yes, an hour long DLC released under the guise of this elaborate, 4-character villain arc, is criminal. The season pass was overpriced. You ****ed up the PC port royally. I, along with other gamers, enjoyed the game. There were too many tanks. Whatever. I will not be purchasing another game from either Warner Bros. or Rocksteady, simply because the top-down practice implemented here was abysmal. Stop taking advantage of gamers. Like me, they will boycott your games in droves eventually. I had written a long thank you letter to rocksteady for the great effort they made in creating Arkham Knight. Unfortunately, I was given a message after submitting it that the word count exceeded the limit for the comments. If there is a better place I can post it please tell me where. I truly enjoyed Arkham Knight and all of the DLC. I have no idea why people are complaining about the price or the content. I feel lucky to have been able to play this game for as many hours as I have. Wait. I thought they said this pass would supply six months of DLC not three. Batman Arkham Knight is so underrated By The 2015 Game Awards. It should have at least got best Soundtrack.